Having overcome many personal issues in my own life, I am a living example of the capacity for change we all hold within us. My achievements in overcoming anxiety and low self esteem amongst other problems, led me to discover my passion for helping others to do the same. I would love to help you identify your strengths; develop coping mechanisms and assist you to achieve your goals. My goal is to help you move past problems in your life and achieve a state of wellbeing. I established my practise in 2011 and am a full time Hypnotherapist and Coach working in 1-1 therapy as well as group settings. I have been featured in publications such as The Guardian, Natural Health Magazine, Healthy Magazine and was a regular contributor to the Sheffield Star advice section. I have been interviewed on radio and in the Sheffield Star. I run a number of workshops for other therapists and professionals as well as training sessions in areas such as stress management for companies such as NatWest. I have a programme of workshops and events run on various topics and will often arrange these on topics requested by clients. 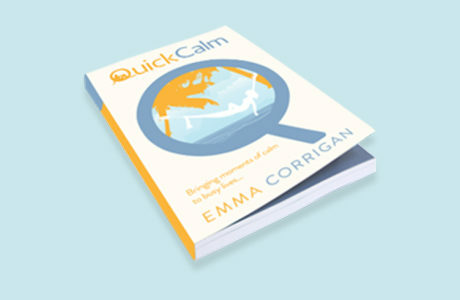 I am the author of ‘QuickCalm: Bringing moments of calm to busy lives’ which is full of five minute solutions for taking control of stress. I hold a current DBS check and am supervised to ensure my work is always of the highest standard, ethical and professional. My previous roles have included working as a substance misuse worker for adults and young people, working with homeless adults and those with long term mental health issues.